One of Garry’s favorites. Not exactly accurate, but beautiful. You have superb taste in Westerns! Thank you so kindly ! That means a lot to me. This is actually take 2 in my “Clementine” responses. 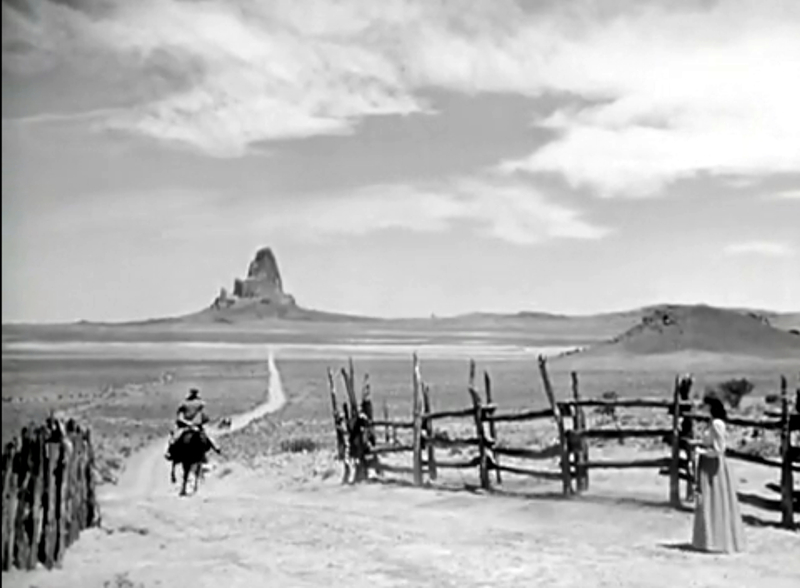 It is a great example of John Ford’s ironic “Print The Legend” ethos. I KNOW that’s NOT the way it happened — even give or take a lie or two. 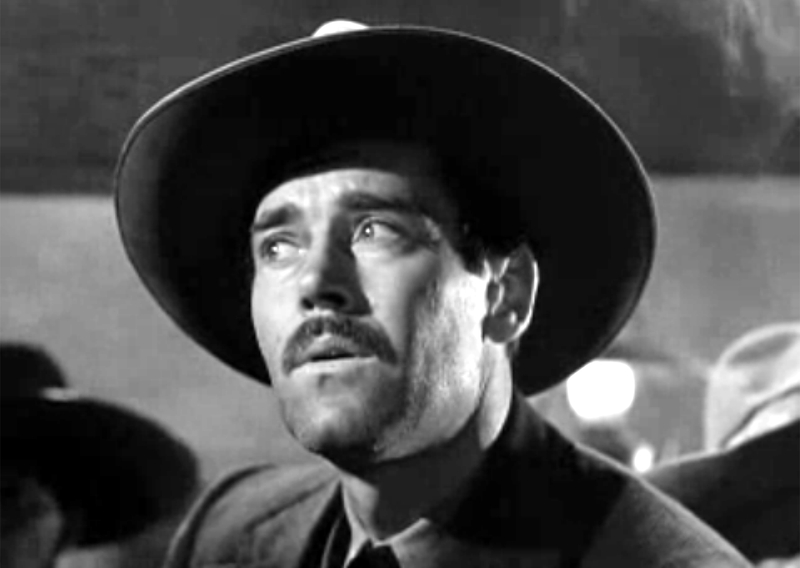 But this — Henry Fonda’s first film after returning from active duty in WW II — is an exquisitely made western. 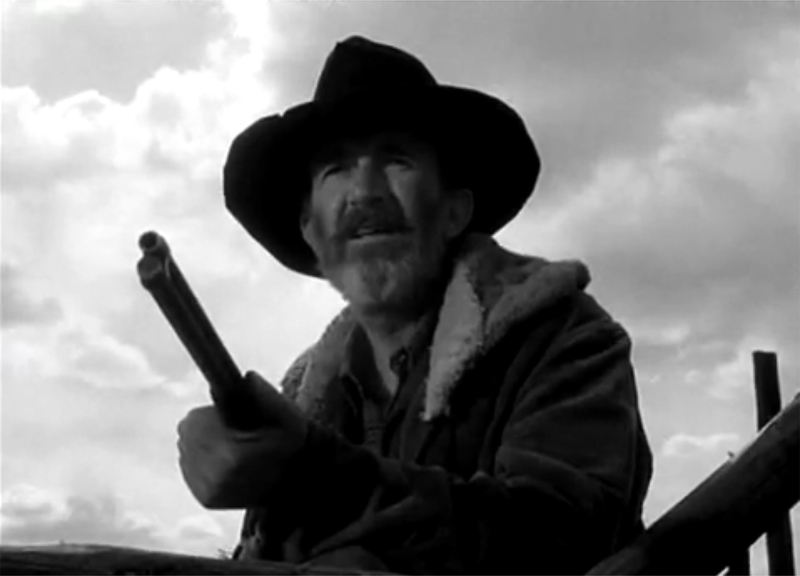 A primer in film study classes. 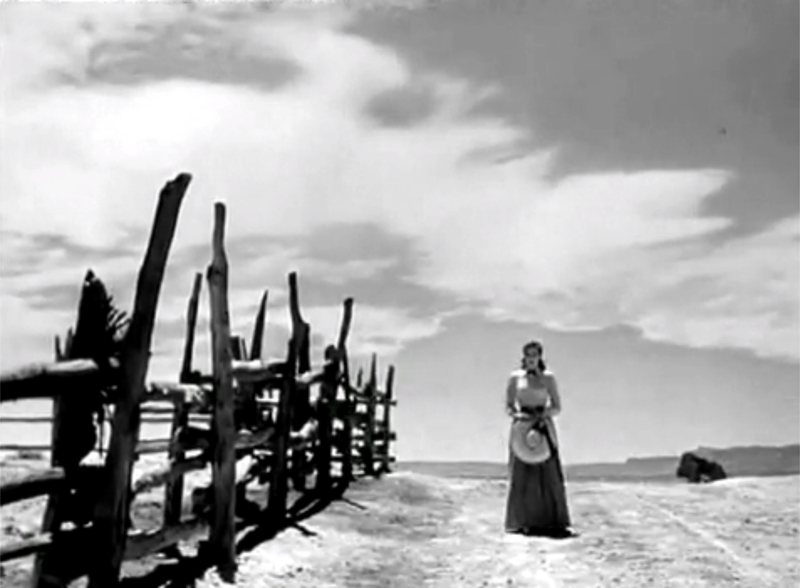 Among the many wonderful, almost lyrical scenes: Fonda slowly walking Clementine (Cathy Downs) across the street to the church social to the strains of “Shall We Gather By The River” (A Ford staple). I usually play this scene two or three times on every viewing. It’s film POETRY!!! Also, Fonda — rocking in his chair outside the barbershop and smelling of honeysuckle “perfume”. 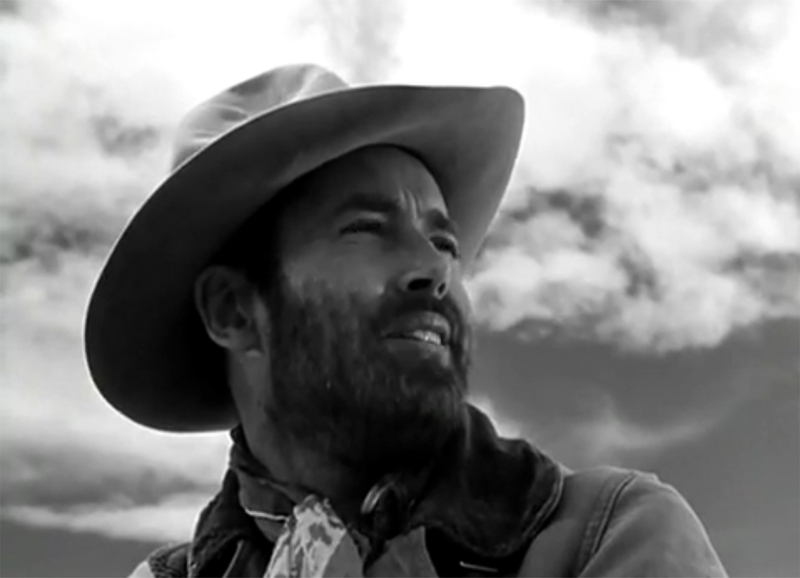 The laconic exchanges between Fonda, Tim Holt and Ward Bond about the “Honeysuckle scent from home” is pure Ford small moment magic. Not accurate? True. 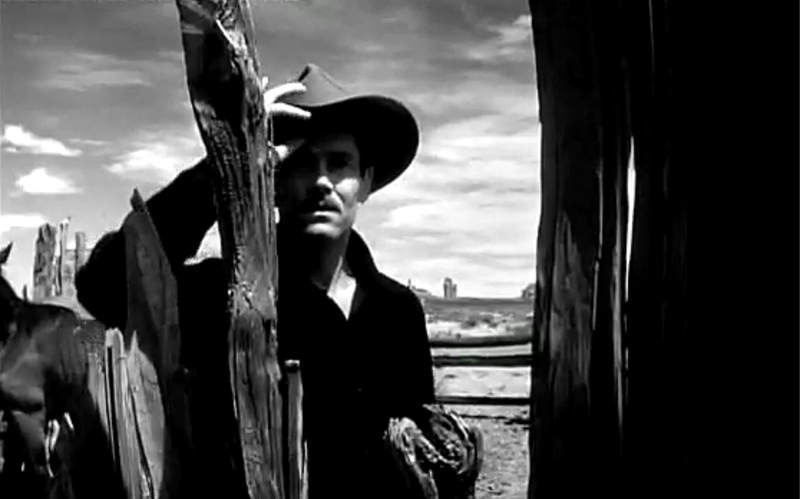 But still one of the best westerns ever, Pilgrim!!! 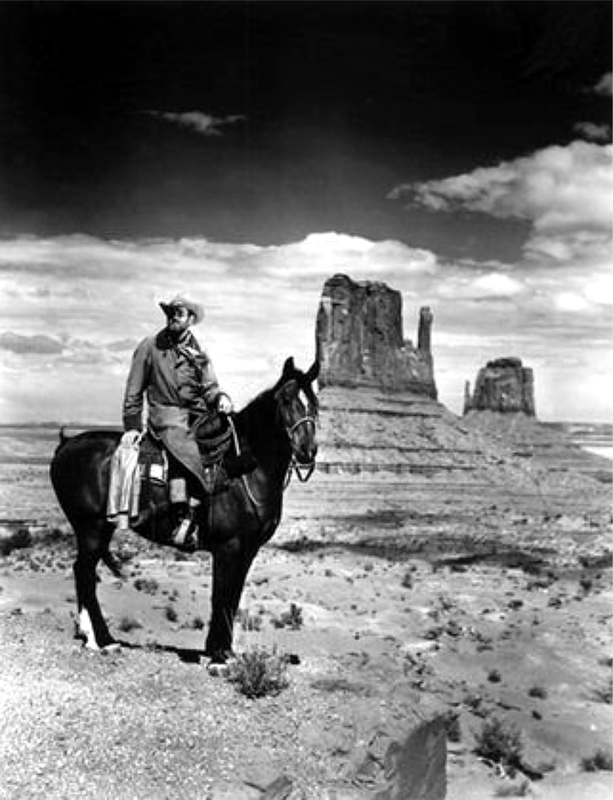 You know your Westerns pardner … better than I do. 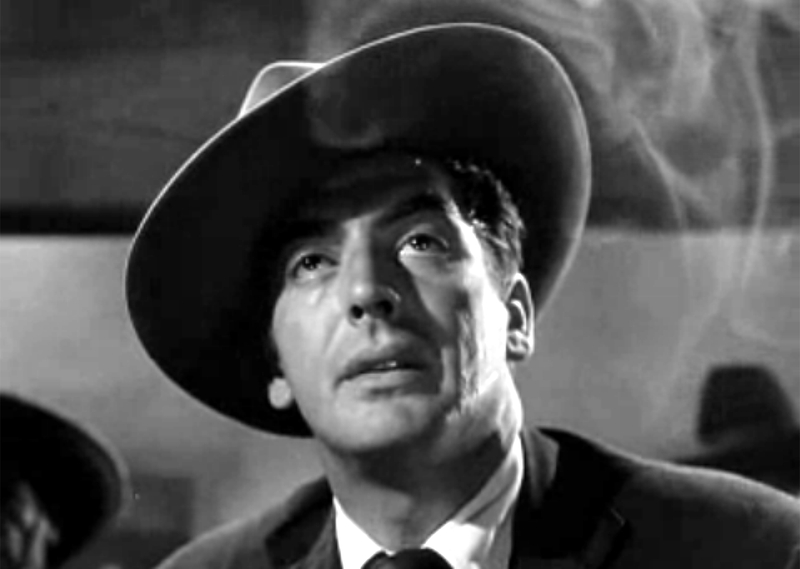 When I first saw My Darling Clementine as a kid I liked it for sure … but most of what makes it such a wonder went way over my head. It’s – as you say – brilliant film making. 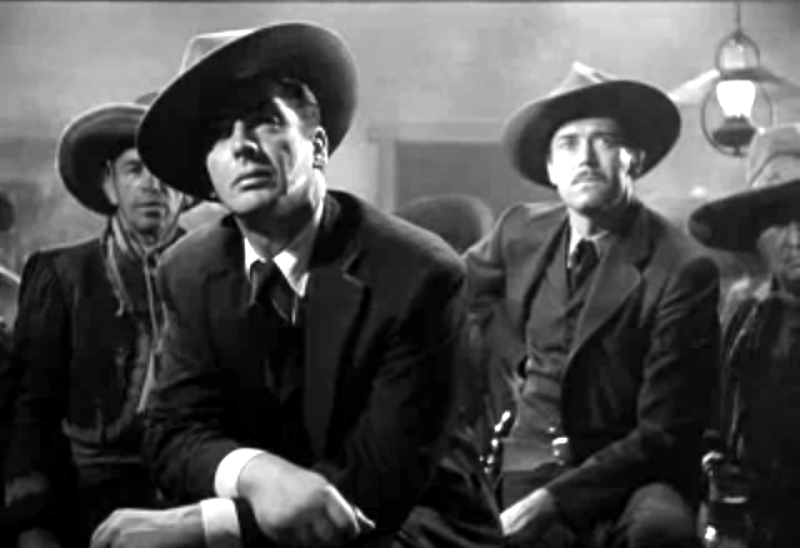 Even after Stagecoach some people didn’t want to take Westerns seriously. But after ‘Clementine’ they had no choice. 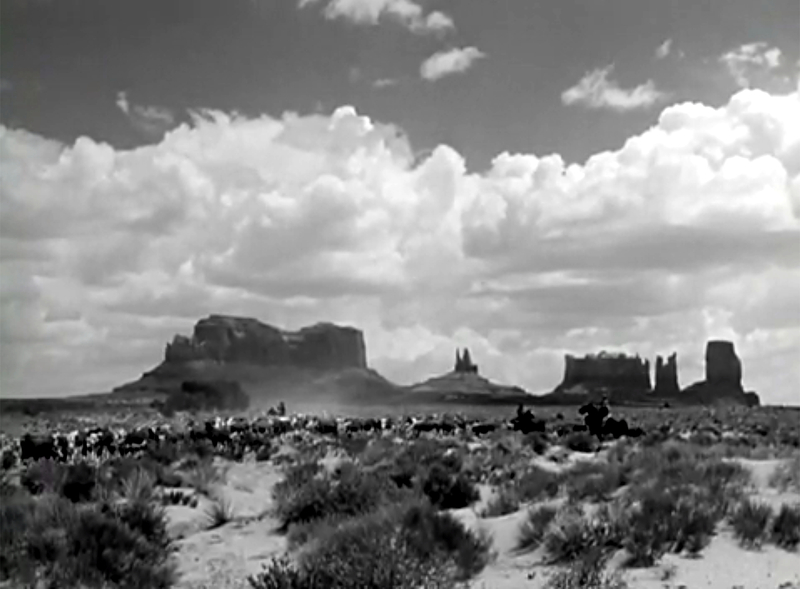 It was not JUST a great Western – it was a great movie. Thanks Amigo. Just reviewing by blog and addressing all the things I didn’t see. Just came across this blog looking for images from the movie. 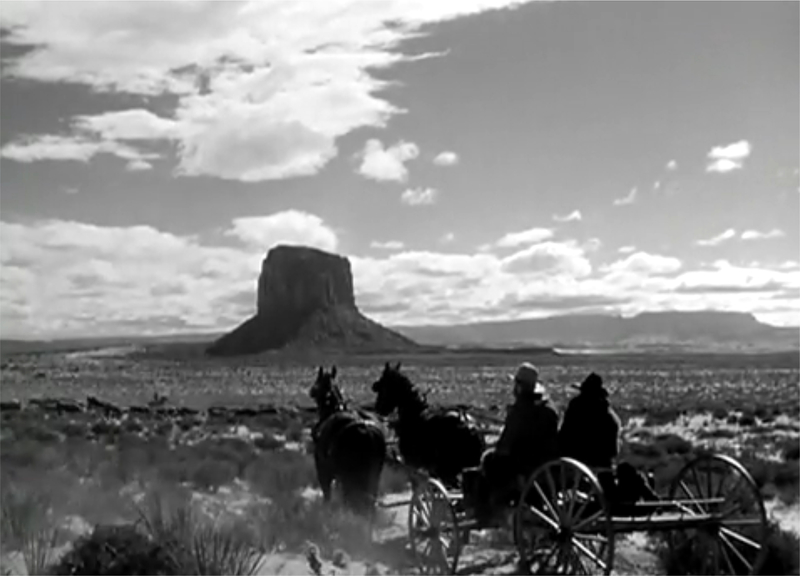 The opening alone is one beautiful, striking shot after shot. It’s also wonderful storytelling. 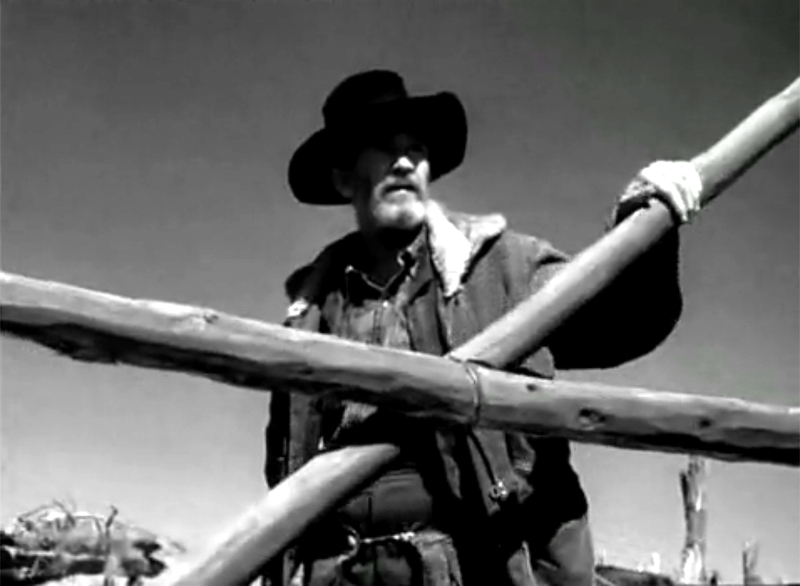 I just wanted to pop in to say … I love so many of the frames you’ve chosen to show off the amazing cinematography … but if you really want to display the most iconic images from the film, I think you really need to have the shot of Fonda leaning back in his chair on the porch with his leg up. 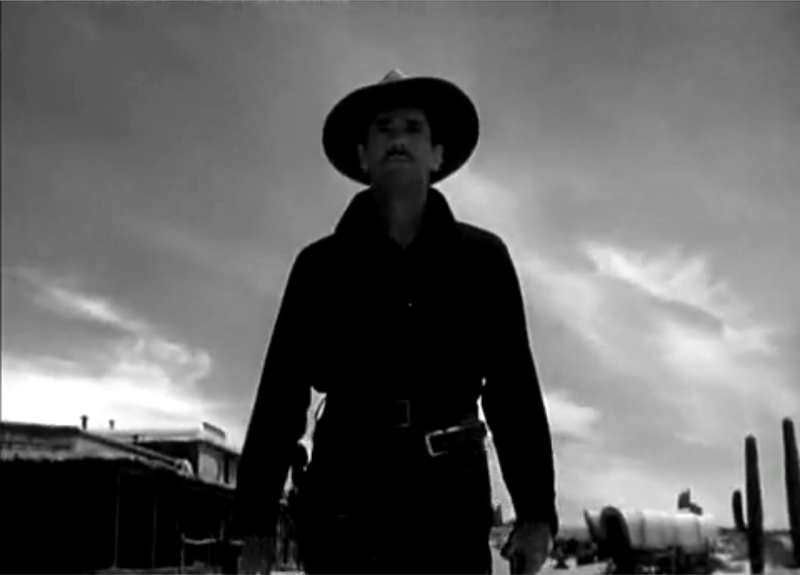 I know it’s gathering obvious frame — straight from the DVD cover — but it’s still so iconic. Such an immediate and compelling presentation of character. Anyway, great stuff. So great to see so much appreciation of this film. Yes, there are SO MANY great images. Ford framed everything. 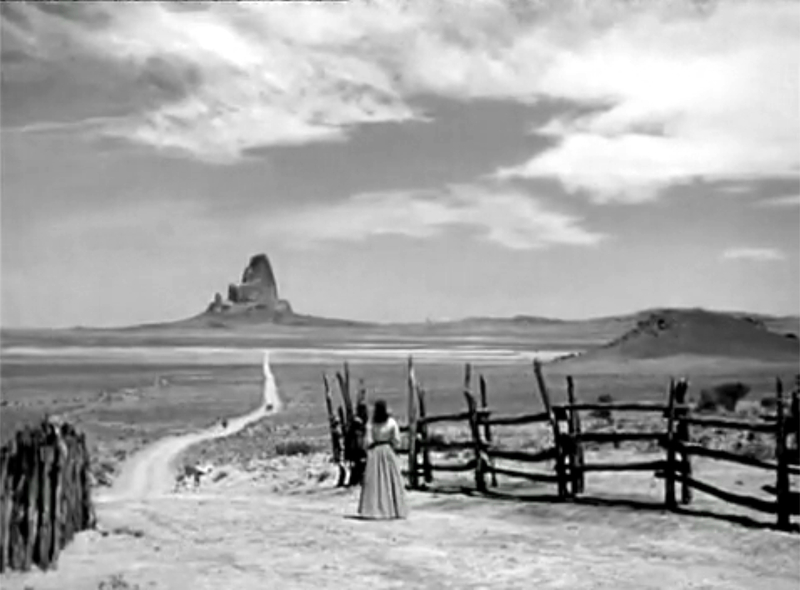 His composition was amazing and pretty well every scene would stand as a photo image. I should back there are review that again – maybe put up some new images/screenshots. I wish they would show this on TV more often. Only TCM shows it occasionally. I’ve never taken the movie to be a realistic docudrama on Earp. It’s just a great movie.